Everyone loves Poldark, written by Winston Graham, especially since the wild, Cornish landscape is almost another character in the TV series. 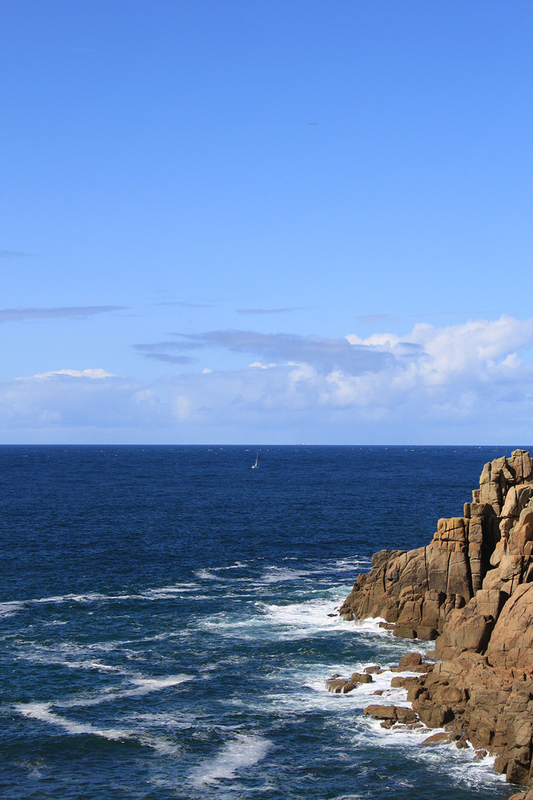 One of those gorgeous film locations features Porthgwarra Cove, owned by the St Aubyn Estates. 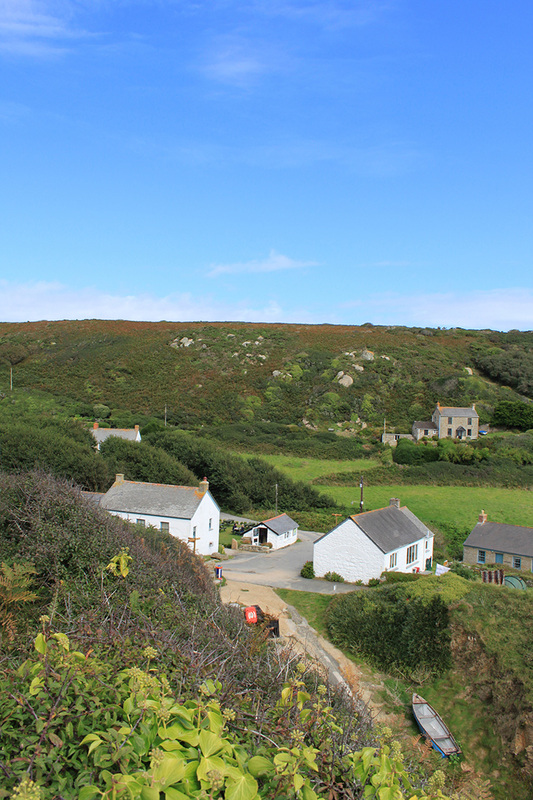 St Aubyn Estates has been part of the West Cornwall landscape for more than 600 years. Nowadays, it is a modern, family owned enterprise spanning 5,000 acres with a diverse portfolio. At the heart of the estate is St Michael’s Mount, which the St Aubyn family run in partnership with the National Trust. 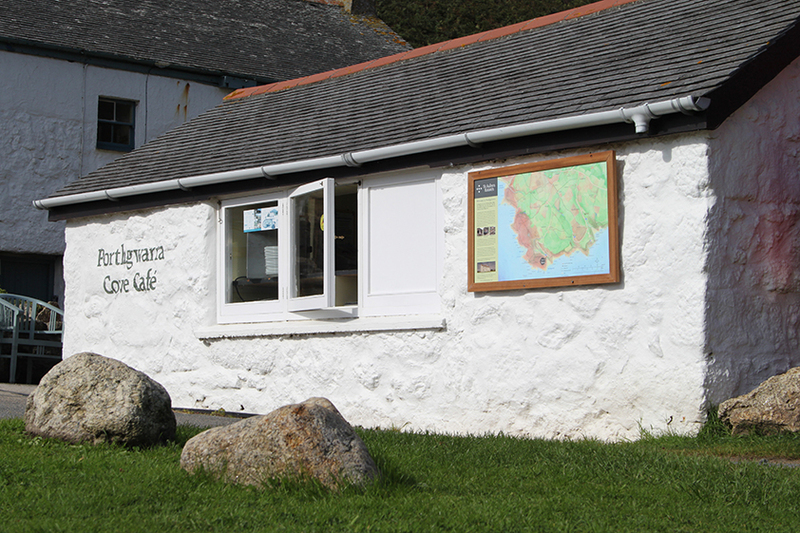 Due to the increased interest in Porthgwarra Cove, managing the expectations of visitors and where they roam became an important issue in maintaining good relations with other local landowners. Clear Mapping Co visited the site with Andrew, the Head of Land & Property to understand the issues. We then combined nautical chart data with aerial and OS Open Data. We made the water meet low mean water point to get the best aspect of this stunning countryside. The artwork was then prepared for traditional painting on sized watercolour paper at nearly life-scale. We undertook research on the families in the area and wrote the copy for the interpretation board. We prepared the artwork, all the footpaths were checked on the ground by Andrew with local landowners. As soon as the artwork was signed-off, we worked with a local sign-maker to create the enormous interpretation board. Andrew was delighted with the artwork and installation. 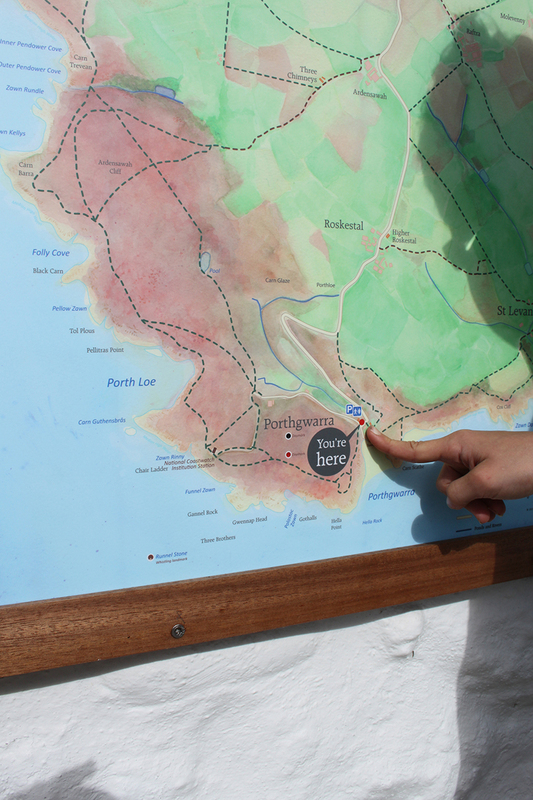 Many visitors have been using this map of the South West Coast Path, clearly marked for visitors. This was our third entry to the British Cartographic Society (BCS) / Ordnance Survey (OS) Open Data Award. When the OS Open Data category was announced we were thrilled to hear “Clear Mapping Co!”. Caroline was very excited to pick-up the award on behalf of Clear Mapping Co, especially as we had been up against some stiff competition from twelve other nominees. Caroline was delighted to accept the award from Nigel Clifford, Chief Executive of Ordnance Survey (OS). “We are so delighted that we won the Ordnance Survey #OpenData Award 2015 at the British Cartographic Society event held in York this year. Everyone has been very supportive of our beautiful map, in which the judges said the quality of entrants has been extremely high. For a young business based in Cornwall, to get national recognition for our work, from our harshest critics – our peers – is absolutely fantastic!” Caroline Robinson – Founder of Clear Mapping Co. Thank you very much to the judges from the British Cartographic Society and Ordnance Survey for their recognition of our dedication to the cartographic design profession.